President's Emergency Checkbook Fund Video from Pardiman Productions on Vimeo. Congressman Denny Heck, his wife, Paula, and other outstanding community members affiliated with OSDEF launched the Principal’s Emergency Fund (PEF) in 2008. Its aim is the same today as it was more than a decade ago: to fill an important resource gap for principals and educators looking to quickly meet low-income students’ urgent basic needs. 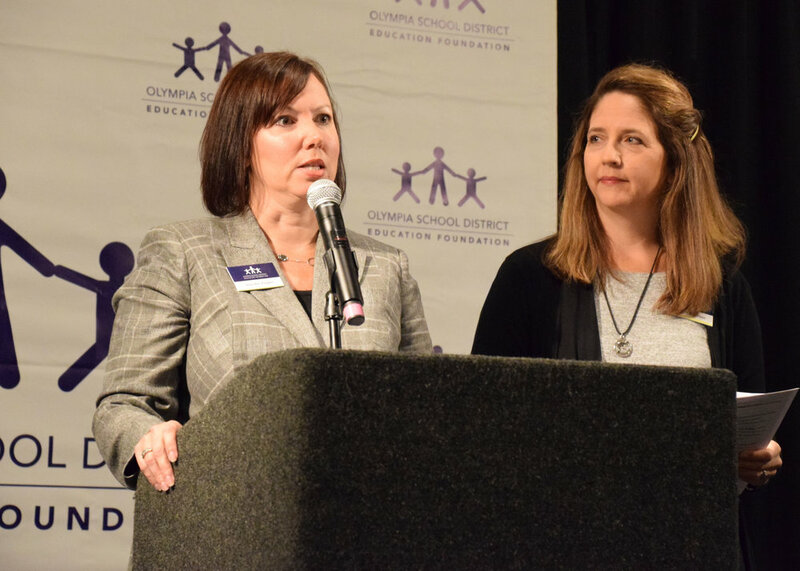 While many are unaware of how many OSD families struggle to get by, the need for the PEF is undeniable: For the 2018-19 school year, nearly one-fourth of OSD students have been identified as living in poverty; close to 300 students are homeless. To assist these families, OSDEF provides each school in the district with PEF funds. Without the hassle of paperwork, the PEF allows principals and teachers, who are often the first to identify that a student has needs, to remove common barriers and help maximize students’ potential. After all, how can we expect students to focus on learning when they don’t even have the basics covered? PEF funds have supported clothing, hearing aids, glasses, housing, transportation, food, school supplies, fees for school activities, and much more. Something as simple as a new pair of shoes can boost confidence – leading to better attendance and more active participation at school. A once-unaffordable eye exam can result in a new pair of glasses – transforming how a student performs in the classroom, on the sports field or on the stage. The Principal’s Emergency Fund Breakfast is the primary source of support for the PEF. It is held annually at the end of September. All are welcome to attend this inspirational event. 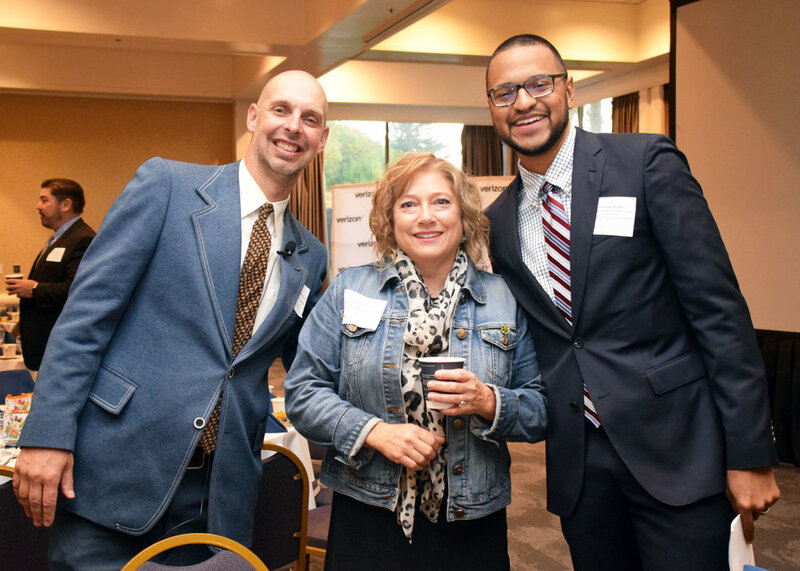 2018 marked the 11th year of the PEF breakfast fundraiser, and the third at Hotel RL in Olympia. Once again we had a turnout of over 300 attendees from the community who came together to break another record for OSD students and families in need, raising over $84,000 at the event alone! 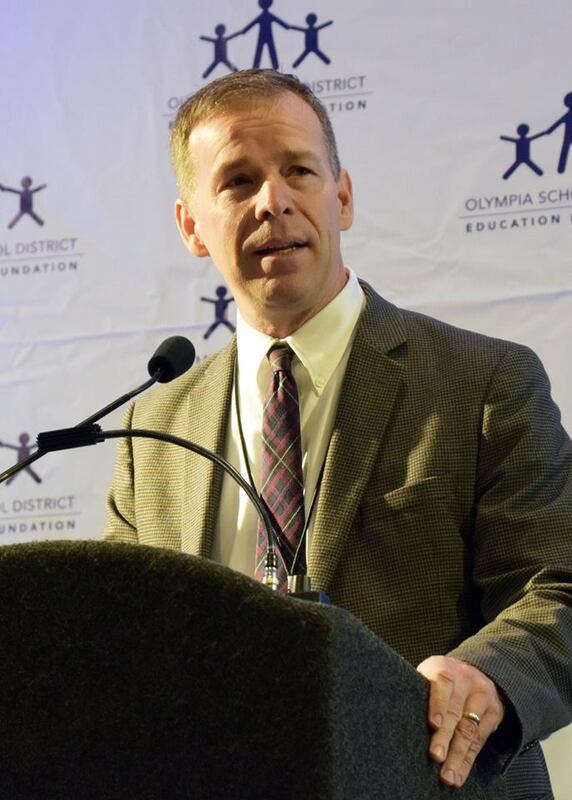 We were treated to an inspiring keynote speech by Blue Peetz, who leads Olympia High School's Freedom Farmers program, and has been awarded Secondary Teacher of the Year Award in 2018 for his amazing work that has been inspiring students to rise to their full potential for the past seven years. 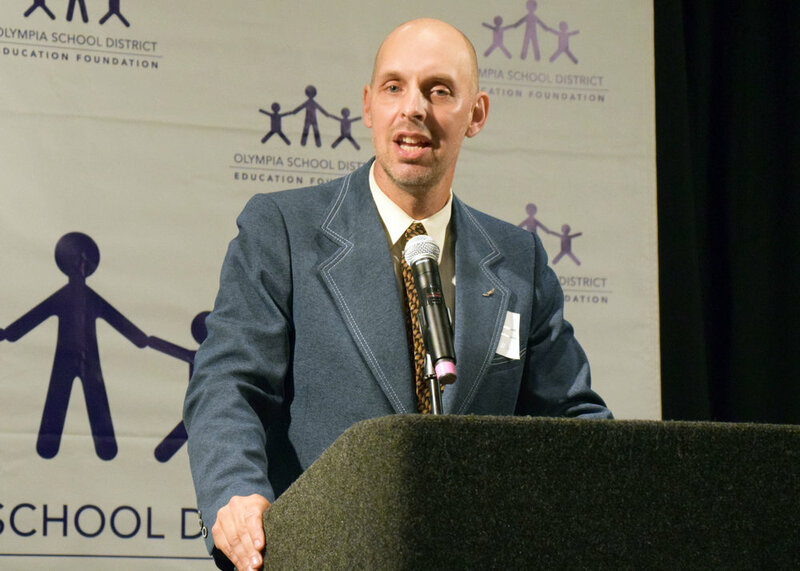 Anthony Brock, Assistant Principal at Roosevelt Elementary and perennial supporter of the PEF breakfast, led the program as emcee. 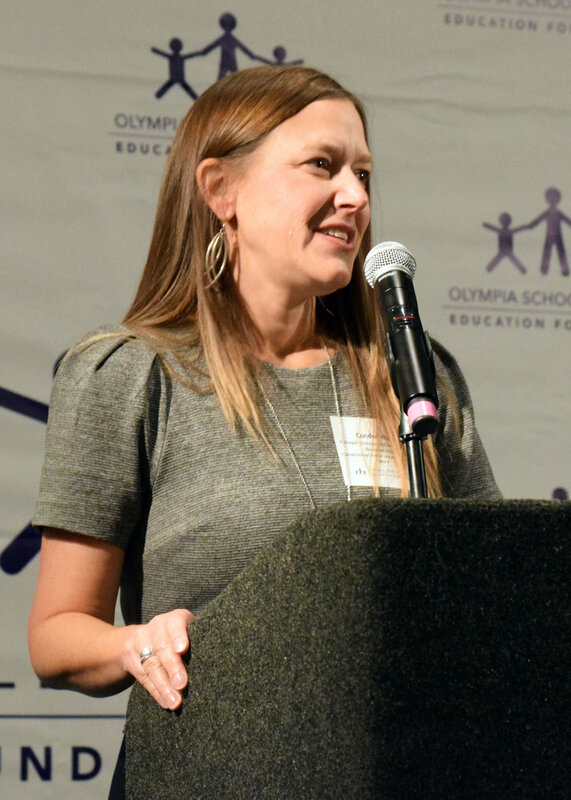 We also heard from several OSD staff members who shared heartfelt experiences that help remind us just how critical the PEF is to the Olympia School District and its families. Our sincere thanks to such a wonderful community for coming together to make it another successful year! 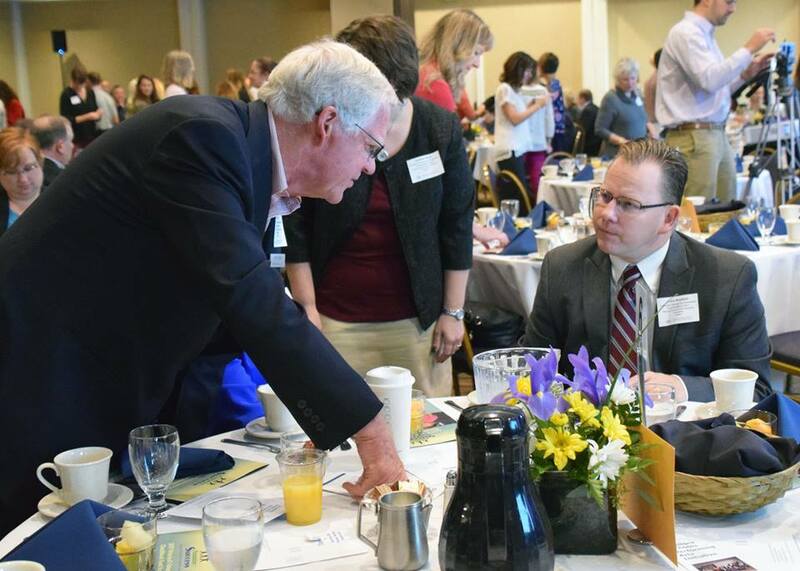 Over 300 members of the Olympia community joined us for the 2017 Principal’s Emergency Fund Breakfast on September 28, 2017. We set the goal of raising $55,000 and are thrilled to report we exceeded that goal with a record-breaking $75,000 . This was the second year holding the event at Hotel RL by Red Lion in Olympia. 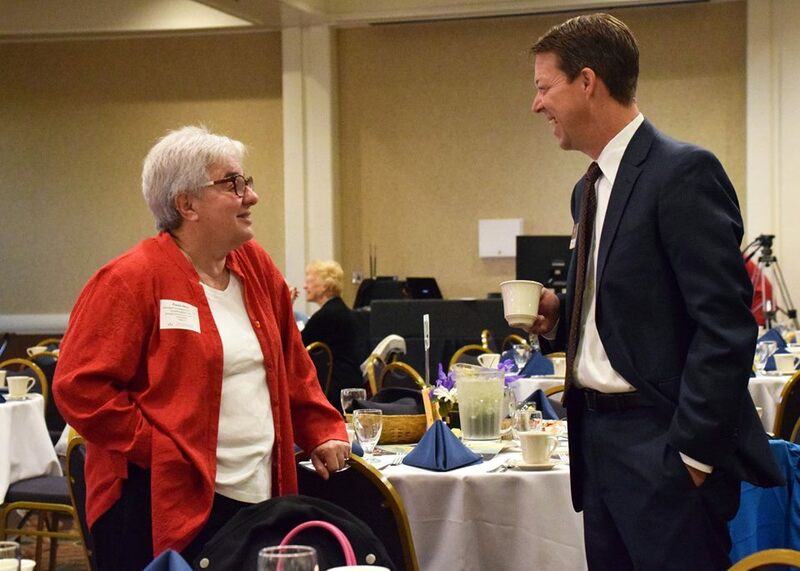 We were honored to have Superintendent of Public Instruction Chris Reykdal as our keynote speaker and Marshall Middle School Principal as our incredible emcee, Condee Wood. A new PEF video was introduced with the thanks of Capital High School students and staff. As is our tradition, school staff shared stories about how the PEF changed the lives of many students by assisting with basic essentials such as emergency rent, utility bills, food, clothing and so much more. Students from Olympia High School and Capital High School provided musical entertainment and event assistance. Our young adults are always excited for the opportunity to contribute to the community. Thank you to everyone who helped make the 2017 PEF Breakfast a huge success!